Several month ago I started to collect a list of the Top Agile Coaching Books from various social channels like LinkedIn, Twitter and Facebook. I received so much input from so many people so I decided to divide the book list into five different categories: Top agile books for Scrum Masters, Product Owners, Agile Developers, Leadership & Agile Coaching. 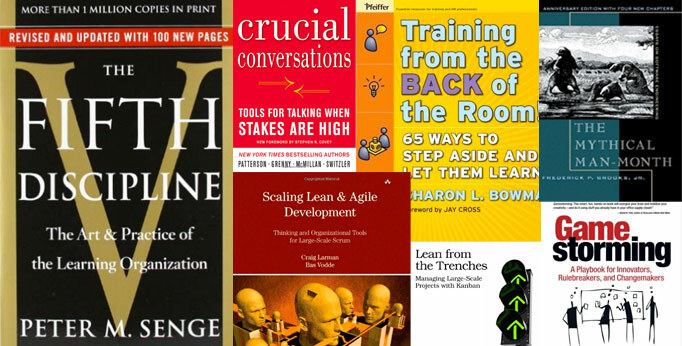 In this article I want to show you the Top 15 books about Agile & Coaching recommend by the Community. If you think that there is an important book that should be added to that list, leave a comment here and make that list even more useful! Hello! Nonviolent Communication: A Language of Life is my one of favorite book. I have read it full. Thanks share your top 5 books with us.